Scientists have developed an automated early warning system for volcanic eruptions, according to a new study. 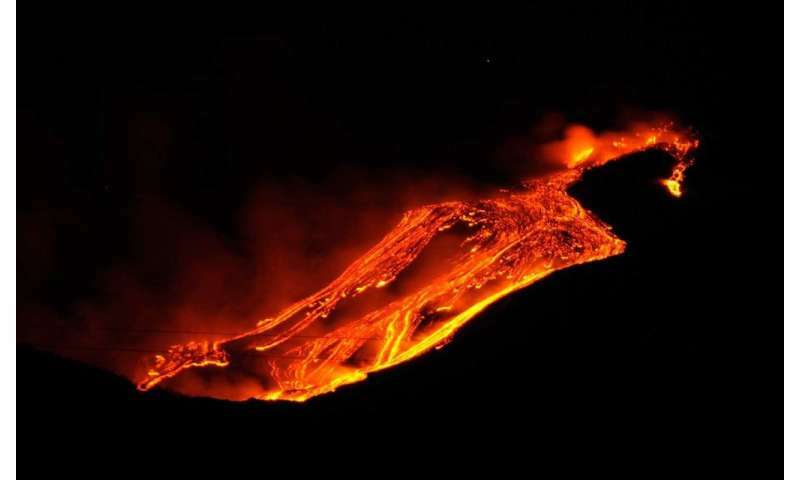 The new system helped government officials warn the public of impending eruptions in Italy and could potentially do the same around the globe, according to the study's authors. New research in the Journal of Geophysical Research: Solid Earth, a journal of the American Geophysical Union, details the new system that monitors volcanic noises and automatically alerts officials if an eruption is imminent. The study's authors tested this system over a period of eight years on Mount Etna, a volcano on the island of Sicily. Using the new system, the Italian government activated an emergency plan about one hour prior to an eruption for the first time in late 2015. A majority of the approximately 1,500 active volcanoes around the world are not monitored in real time. Many volcanoes are monitored with methods based on seismic waves, which are vibrations of the Earth's layers that can be triggered by eruptions. But seismic waves are often not great at telling volcanic explosions apart from other processes, like internal magma movements, earthquakes, or storms, the study's authors said. Most of the methods require input from volcano experts and alerts are sent only after volcanoes begin erupting. "Tens of seconds sometimes can save lives and reduce damage, like in the case of an earthquake" Ripepe said. "The need is to have something automatic that can be used to speed up the procedure to reduce risk." "When we got this percentage of success, [the Department of Italian Civil Protection] decided to use it as an operational system," Ripepe said. "Now we send SMS messages and emails to the authorities that are in charge to start an emergency plan in case of volcanic eruption." "This opens a new way to do monitoring of volcanoes at the global scale," Ripepe said. I guess it may prove to be better than InSAR detection of ground motion.